Includes 8 nights 4* hotel, 3 meals a day. 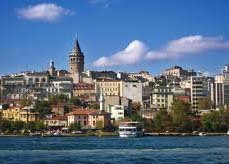 Depart from home city to Istanbul, Turkey. After breakfast, sightseeing of Safranbolu, one of the Unesco World Heritage. After sightseeing departure for Ankara. Upon arrival lunch at local restaurant First stop is the Tomb of the Great Turkish Leader Ataturk; Anitkabir. Lunch will be served at local restaurant. 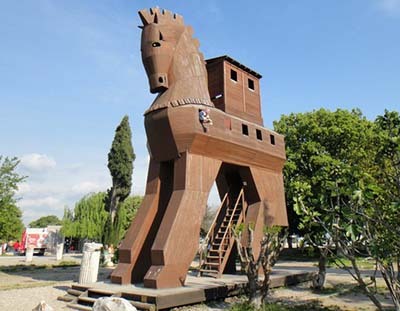 After lunch proceed to Hititte Museum which has a number of exhibits of Anatolian archeology. They start with the Paleolithic era, and continue chronologically through the Neolithic, Early Bronze, Assyrian trading colonies, Hittite, Phrygian, Urartian, Greek, Hellenistic, Roman, Byzantine, Seljuq and Ottoman periods. There is also an extensive collection of artifacts from the excavations at Karain, Çatalhöyük, Hacılar, Canhasan, Beyce Sultan, Alacahöyük, Kültepe, Acemhöyük, Boğazköy (Gordion), Pazarlı, Altıntepe, Adilcevaz and Patnos as well as examples of several periods. After the tour, proceed to Cappadocia Dinner and overnight at hotel. Early morning, departure for amazing hot air balloon tour After breakfast departure for Konya. Upon arrival visit The Shrine of Mevlana who inspired the rituals of the "Whirling Dervishes". The Shrine is in Konya , is the mausoleum of Jalal ad-Din Muhammad Rumi, a Sufimystic also known as Mevlâna or Rumi. It was also the dervish lodge (tekke) of the Mevlevi order, better known as the whirling dervishes. Lunch will be served at a local restaurant After lunch proceed to Pamukkale Upon arrival visit the ruins of the magnificent Temple of Apollo, the theatre, the fascinating Necropolis and the great baths of Hierapolis, the antique city. After checking in to hotel, have a swim at the hotel’s pool. Pamukkale is a noted spa where pure white travertine forms “Frozen Waterfalls”. Terminating at hotel. Dinner & Overnight in Pamukkale. After breakfast, departure for Epheusus. Upon arrival visit Virgin Mary’s House; as catholic pilgrims belief that Mary, the mother of Jesus, was taken to this stone house by Saint John and lived there until her assumption. Lunch will be served at local restaurant. Next stop, Ephesus, the city dedicated to Artemis, the best preserved ancient city of Asia Minor. Visit the ruins from the period of St. Paul, Odeon, Monumental Fountains, Temples Brothel, the Celcius, Library, Great Theatre, Gymnasiums, Double Church and Stadium After the tour transfer to hotel. Dinner & Overnight at Kusadasi. 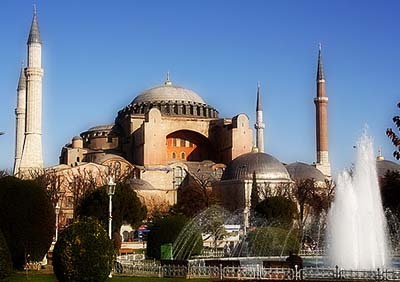 Afer breakfat departure for Istanbul Upon arrival lunch at local restaurant After lunch sightseeing of Saint Sophia. 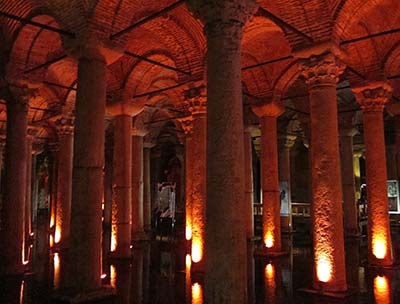 Built by Emperor Justinian in the 6th century AD, this church is one of the marvels of world architecture. Its massive dome dominates the skyline of old Istanbul. It is famed for its mosaics, including glittering portraits of emperors and empresses. Next, The Grand Bazaar, was the commercial heart of the old city and its 4,000 shops are full of treasures – including carpets and kilims, silks, jewelry, ceramics, icons, and leather goods. Wandering through the Grand Bazaar, indulge in some shopping, Ottoman style. Dinner at local restaurant Overnight at hotel. After breakfast transfer to airport for your international flight.